I like to be prepared for worst-case-scenarios. At the time, I didn’t know Apple would provide a new sandbox entitlement, so for me, the only choice was to take a couple of days and reimplement macOS’ screencapture‘s functionality. Now, when I say “reimplement”, I mean I looked at the features I needed in ScreenFloat and implemented them, leaving those I didn’t need aside (fullscreen screenshots, screenshot sounds or capturing windows’ shadows, to name a few). Time was of the essence, after all, and I didn’t know how long it would take me to implement this stuff. 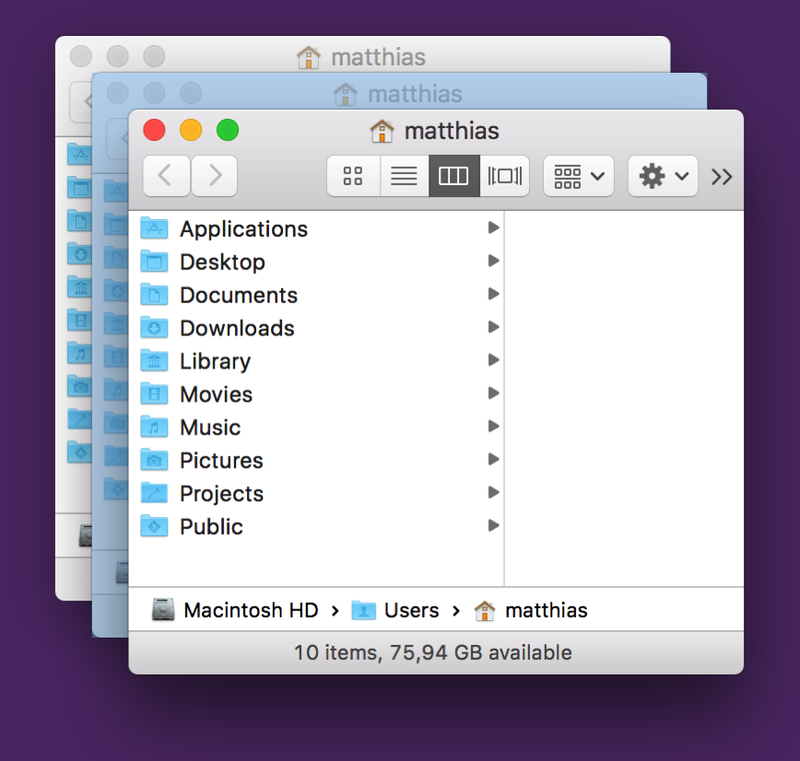 Before I started working on my own solution, I thought it’d be good to understand how macOS’ screencapture utility was implemented. Next, I wanted to know how screencapture draws its selection rectangle and cursor. Knowing there’s basically no drawing on screen without an NSWindow, I created a small app that would filter out screencapture‘s windows during an interactive screenshot, create an image of each and write them to disk. Why would you need 5 windows to draw something you could draw in one, using Core Animation or an NSView? screencapture has existed since Mac OS X Jaguar (10.2), and there was no Core Animation framework yet, so that’s out of the running. That leaves NSView’s -drawRect:. Why not use that? Frankly, I don’t know. But I suspect it’s a performance thing – perhaps drawing 5 individual single-colored windows was faster on Mac OS X Jaguar (and still might be on today’s macOS) than one NSView’s -drawRect: and they just kept going with it over the years. kMDItemIsScreenCapture – a boolean value indicating whether the image file is a screenshot (YES). Only present when the file is a screenshot, so there’s no case where NO would be specified – the tag would be missing instead. kMDItemScreenCaptureType – the type of screenshot: “display” for a fullscreen screenshot, “window” for a window-selected screenshot and “selection” for an interactive screenshot. kMDItemScreenCaptureGlobalRect – Not really a rectangular value. As far as I can tell, it only contains the interactive screenshot’s origin point’s x value (where on the screen the screenshot was taken). To set the cursor, I suspect there’s some private API magic at play. An app can set its cursor in different ways: via cursor rectangles or directly via NSCursor. But it only works if the app is active and its window is frontmost – something that isn’t the case with screencapture. screencapture also does another thing I was interested in: When you press ⌘-⇧-4, followed by the space bar, you can move your mouse cursor over individual windows to screenshot them exclusively, and it’ll tint it to let you know about the selection. I have no idea how it’s done – it’s either a window that gets painted over the selected window, inserted at the correct hierarchy level, or it’s a private API that lets you paint over any NSWindow. Because I was using screencapture via NSTask to do all the heavy lifting for me, I had no idea where to start for creating user-selected screenshots. I started with giving AVFoundation a try, as I remembered a couple of WWDC sessions mentioning capturing the screen – for video. Soon enough, though, issues popped up. 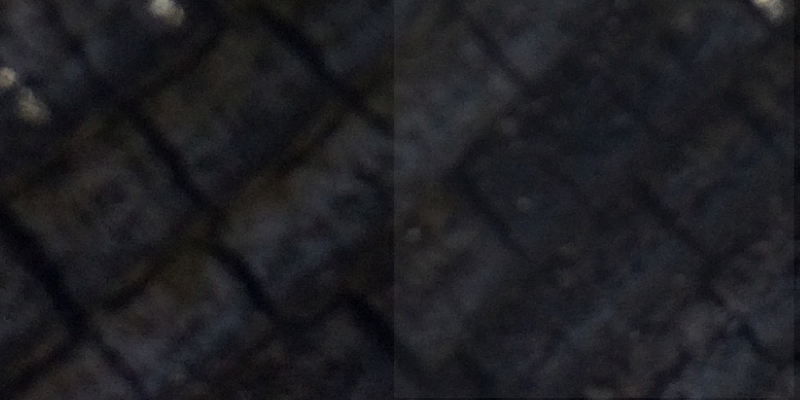 Like the image’s compression. A screenshot created with AVFoundation wasn’t anywhere near the quality a screencapture screenshot has – although it was to be expected, since it’s for videos, and videos are heavily compressed. There are different quality settings you can try to play with to improve the shot a little, but it’ll never come close to anything screencapture produces. That’s just unacceptable. After poking around screencapture, I learned Apple provides APIs for exactly this purpose: CGDisplayCreateImage, to capture an entire screen, and CGDisplayCreateImageForRect, for a manual selection, which is what I was interested in. For NSWindow to react to mouse events, it needs to have a colored background with an transparency value of at least 0.05. That sounds very low, but it’s still very noticeable when it’s suddenly put over your screen. You may not be able to pinpoint it, but you know something happened. That’s why I’m very grateful to Nick Moore, indie developer of PilotMoon fame. He discovered that you can have a completely transparent NSWindow accept mouse events, by setting its contentView’s layer’s contents to a transparent NSImage. With that out of the way, I could move on to actually drawing a selection. For what the selection would look like, I didn’t have to think much. I wanted to keep it consistent with screencapture: white borders with a white-transparent fill. But the APIs I’d use to draw the selection were up to me. Since I didn’t want to use 5 windows like screencapture does, I briefly experimented with NSView’s -drawRect:, but discarded that in favor of something more modern and more performant: CAShapeLayer. In my tests, it’s looks and feels just as the original, and even if it’s not, it’s indistinguishable to my eyes (on a retina MacBook Pro Mid-2012). The selection’s functionality would have to be the same as screencapture‘s – drag to select, keep the space bar pressed to move the selection, release the space bar to continue the selection, press the space bar once to enter window-selection mode, press it again to exit again. Nothing that couldn’t be done with NSResponder’s ordinary methods. My reimplementation’s behavior when using the spacebar to move the selection. Because of CGDisplayCreateImageForRect, creating a screenshot of a custom selection is fairly straightforward. Window capturing is a little more work. You *could* do it with CGDisplayCreateImageForRect, but you’d have remnants beneath the window’s rounded corners of anything that was below it at the time of the capture. It’s good to know Apple provides an API for those cases as well, then: CGWindowListCreateImage. It will let you define the window you’d like to capture and the “features” it should have (shadows, no shadows, include windows below it, don’t include them, etc). You can get a reference to the window you’d like to capture using CGWindowListCopyWindowInfo – it’ll give you its rect on screen, its window level and more information about it. That last API, CGWindowListCopyWindowInfo, also comes in handy when drawing the window selection (for when you hit the spacebar). 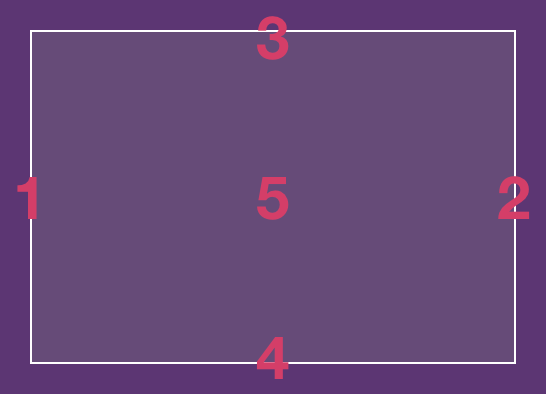 After all, you need to know where all the windows are and their dimensions on the screen, so you can draw the selection accordingly. Once I have that information, it’s easy to put up another CAShapeLayer above the selected window. But wait. What if the selected window is beneath another window, or several windows? A first try at implementing window selection, clearly failing for windows that are beneath other windows. That’s where it gets tricky and why I assume Apple is using private APIs here, which lets it either insert a new, selection-color-colored, translucent window into the window hierarchy at the right position or draw directly onto the window. My solution was to use another CAShapeLayer. It’s based on CGPath (which I convert to from an NSBezierPath) to draw the colored overlay. I use the results from CGWindowListCopyWindowInfo to find out which windows are atop the currently selected window, create an NSBezierPath from their bounds, subtract them from my initial NSBezierPath and feed that to the CAShapeLayer. It didn’t work like this right away, though. There was a lot of trial and error, sweat and, yes, tears involved in this. But I think it was worth the effort. Doesn’t it look just like the original? 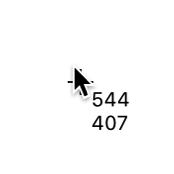 The cursor in screencapture has a unique feature: it displays the coordinates next to it, or if a selection is being made, the dimensions (width and height) of that selection. I wanted the very same thing, so custom drawing was necessary. I started out using NSCursor, but for every mouse move I’d need to create a new NSImage with the coordinates (or dimensions) and set it as the cursor – that seemed pretty inefficient to me. I then moved on to using part NSCursor, part CATextLayer. The NSCursor part would be the crosshair, a constant image, set-it-and-forget-it. The text layer would be updated in -mouseMoved:, updating its position to be next to the cursor and its contents to reflect the cursor position or dimensions. Sure enough, it worked, but when moving the mouse cursor around fast, the text layer would “lag behind”, not correctly sticking to the cursor. It’s nothing major, but it bothered me. With this, we come to my final approach. I hide the system cursor entirely and draw both the crosshair and the text using CALayers. Since they both are now updated inside the same -mouseMoved: (or -mouseDragged:) call, there’s no noticeable “lag” for the text layer – they now move together nicely, as if drawn in one NSCursor object. The tricky thing about screencapture is that it has mouse and keyboard focus without it taking you out of the app you’re in (the window’s close, minimize and fullscreen buttons are not greyed out, for example). Again, in my desire to be consistent with the Apple-provided command line utility, I needed the very same thing. It’s difficult to get certain NSResponder method calls if your window is not key, and it prompted another trial and error session to get the right combination of -isKeyWindow, -acceptsFirstResponder, etc. It now works, but it’s not as nice as Apple’s implementation. Which brings us to the Caveats section. With screencapture, you can make a selection that spans several displays, due to the way it’s implemented (using NSWindows to draw the selection). 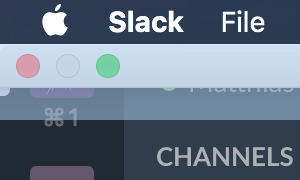 With my implementation, that’s not possible, as I put up one transparent window for each screen that’s connected to your Mac. But I settled – I think it’s very rare you’d make that sort of a selection. In some cases, the system cursor will pop up again, and it won’t go away until a new screenshot session is started. When you click the green fullscreen button on a window, it transitions from being one window into being two windows without you knowing about it – one for the the titlebar/toolbar (which moves down a little when you move your mouse to the top edge of your screen to reveal the menu bar), and one for the actual window. screencapture is somehow aware of this, and when you do a window selection, it will properly draw its selection rectangle above the entire window. Instead of the entire window, just the titlebar and its shadow are selected. I haven’t found a solution to this, yet. When you start Exposé to show all open windows, screencapture can be used to screenshoot them individually. My implementation falls short of that, as Exposé seems to be a semi-modal mode where other windows can not be moved over it. With a custom implementation, I can change anything I want at any time, be it any cursor icon or the behavior in general. I don’t have that luxury with Apple’s built-in tool. Yes, Apple’s built-in tool features timed shots (a screenshot that is not created immediately, but after a small delay). But I think it’s clumsily implemented. With a custom implementation, I can provide a better experience here. Something that concerns ScreenFloat exclusively is the placement of the floating shot after taking it. Using screencapture, I just centred the shot at the mouse cursor. It works, but it’s not very nice. With a custom implementation, I don’t need to worry about temporary entitlements – it works without any. I’m planning on making the source available at some point, but before I do, there’s still a couple of things I need to do, like implement timed shots, which I haven’t gotten around to yet. Also, so I don’t make a fool of myself, I need to clean up the code, and that’s dependent on the free time I get, which recently is little (I’m not complaining – I love being busy). Anyway, this has been quite the journey, and if I can manage to fix some of the caveats I described above, I might use my own implementation instead of Apple’s built-in screencapture CLI in ScreenFloat at some point. But for now, I’m happy I’m again able to use Apple’s built-in tool. Today I finally was able to release ScreenFloat 1.5.13 on the Mac App Store. It’s a free update for existing customers of the app. A 15-day trial can be downloaded for free from the website, even if you’ve tried it before. ScreenFloat lets you create screenshots that float on top of everything, enabling you to keep an eye on information you currently need without having to switch back and forth between windows, applications or spaces. Customers use it in all sorts of cases – when coding for code snippets, when making wire transfers for IBAN numbers and such, when working in Photoshop to compare images, the list goes on and on. Basically, any time you need to keep something in your field of view or need to remember something on screen, ScreenFloat is there for you. The floating shots follow you around, no matter what window, app or space you are in, or you can pin them to specific spaces. What’s New in ScreenFloat v1.5.13? • Most importantly, ScreenFloat now works on macOS Sierra. As I wrote about earlier, macOS Sierra has a new sandbox entitlement that was prohibiting ScreenFloat from performing correctly, so that is fixed now. While I was at it, I put the screenshot creation into its own XPC process, so I could isolate the new entitlement from the rest of the app, as Apple encourages doing. • Aside from now working on macOS Sierra, it fixes two bugs and a (rare) crash, so I definitely recommend updating to version 1.5.13. I think that’s rubbish. Everyone knows what the next OS is going to be called – it was publicly unveiled already under that name, so the likelihood of it changing now is virtually zero. Secondly, they have a public beta out, for crying out loud. It’s in peoples’ hands already, but they don’t want developers to let their customers know that the app now works on Apple’s latest and greatest new system? So I sent an appeal to the Review Board, it got rejected, I submitted the app again with the suggested line and it went through. Still, I don’t think “an upcoming OS” is helping anyone. In fact, it’s more confusing than anything, if you ask me. “An upcoming OS” is ambiguous, whereas “macOS Sierra” lets the user know exactly what you mean. Anyway, this will be my process from now on: Submit with my original line mentioning the OS update explicitly, getting rejected, appealing and then submitting with their suggested line. Perhaps they’ll get tired of it and let it through at some point. Probably not, though. 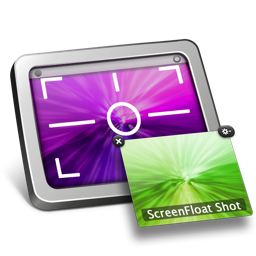 ScreenFloat v1.5.13 is available for purchase on the Mac App Store for the price of $8.99 / £6.99 / €8,99. It is a free update for existing customers of the app. A 15-day trial can be downloaded for free from the website, even if you’ve already tried the app. 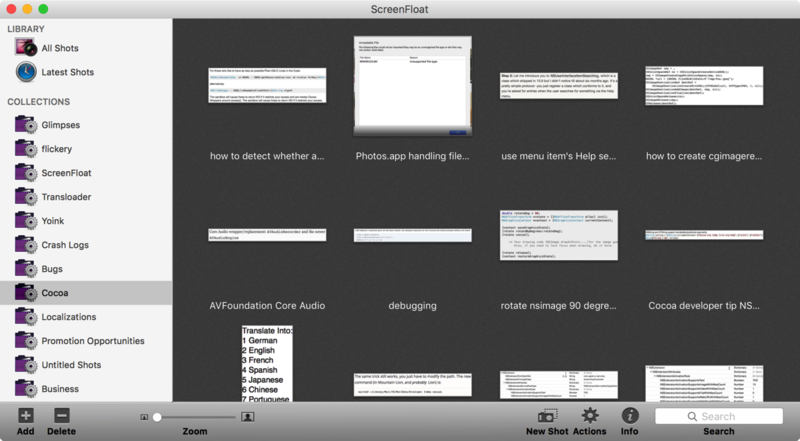 ScreenFloat runs on Macs with OS X Lion 10.7.3 or newer. If you’re interested in writing about ScreenFloat, you can download its press kit here, which contains screenshots, icons, a short sample video and further information. A limited amount of promotional codes are available to members of the press at press(at)eternalstorms(dot)at. I’m looking forward to hearing from you and to see what you think about ScreenFloat 1.5.13. If you like the app, please consider leaving a little review on the Mac App Store, it would help me out a lot! Should you have any feedback or questions, please be sure to get in touch, I’d love to hear from you! Thank you. In my app ScreenFloat, I use the command line tool screencapture via NSTask to create screenshots. On OS X El Capitan and earlier versions of Apple’s operating system, this worked perfectly fine. Now, on macOS Sierra, I’ve been getting reports that screenshot creation didn’t work anymore, so I investigated. The output in Console.app when trying to launch an interactive screencapture with NSTask. So registering a global Mach service is denied on macOS Sierra. In the back of my mind, I remembered a temporary exception entitlement, but it wasn’t quite the same – com.apple.security.temporary-exception.mach-lookup.global-name. I tried adding it to ScreenFloat’s entitlements file, with com.apple.screencapture.interactive as its value (this temporary entitlement expects an array of string values), but that didn’t help – the same denial and console output occurred. On a hunch, I tried using …mach-register.global-name instead of …mach-lookup.global-name and – tada – it worked! Apple offers a couple of temporary exception entitlements. They may or may not be granted to your app during Apple’s review process. But going through the list, it’s clear that …mach-register.global-name is nowhere to be found, so it’s kind of a private entitlement – which makes it even less likely for it to be granted to your app. Seeing as the sandbox denial points explicitly to com.apple.screencapture.interactive, not just com.apple.screencapture generally, I tried creating a non-interactive screencapture session with NSTask. To my surprise, it worked – without the entitlement. So I tried a different command line utility – which. (which will return the executable path to the given command line utility, for example, which screencapture would return /usr/sbin/screencapture). Again, it worked. And again, without the entitlement. It makes me believe (and hope) that the behavior we see for com.apple.screencapture.interactive is not desired, so I’ve filed a bug report with Apple in the hopes that they can set the record straight soon. For now, I hope ScreenFloat will be granted the temporary entitlement just so it is functional again on macOS Sierra for the time being. However, if this is in fact the desired behavior, I will have to write my own screencapture utility so ScreenFloat can remain on the Mac App Store. For anyone who’s interested or in a position to view it, here’s the bug report I’ve filed with Apple: rdar://27610157. I do hope to get an answer soon. So, no dice on the temporary exception. Having to write my own screenshot utility seems more and more likely. I hope I can make it in time for macOS Sierra. The temporary exception is now valid and will go through to Apple’s App Review without a hitch. My own solution is not necessary at this time, but I’m still going to be working on it – you never know.